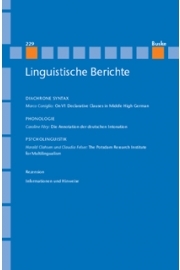 Die Annotation der deutschen Intonation: Wie kann GToBI die Syntax und die Semantik integrieren? 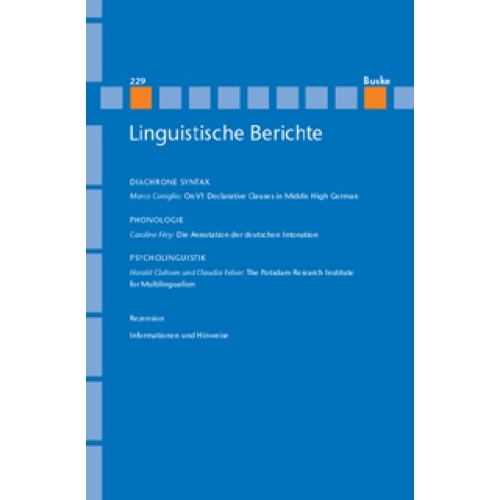 This paper proposes a syntactic and semantic addition to GToBI, the most widely used annotation system of German intonation. This proposal, called R-GToBI for 'Revised GToBI', goes together with a radical simplification of the tonal inventory used in the annotation. Every pitch accent is monotonal – H* or L* – and is understood as a target. Pitch accents are followed by boundary tones of prosodic domains that are primarily motivated by syntactic structure. Prosodic phrases come in two variants, p-phrases (prosodic phrases) and i-phrases (intonation phrases), which are recursive categories. These domains have monotonal boundary tones. Intonational contours are shown to arise through the combination of pitch accents and boundarytones. The scaling of individual tones is dependent on the register used in their prosodic phrases and on the information structural status of the words and constituents. The default case is a progressive downstep – each p-phrase is downstepped relatively to a preceding one –, but focus may cause upstep of prosodic domains. The proposal is illustrated with the training material of GToBI. The revised version is shown to be more robust and easier to use than the original variant, as it rests not only on the grammar of tones but also on other parts of grammar.